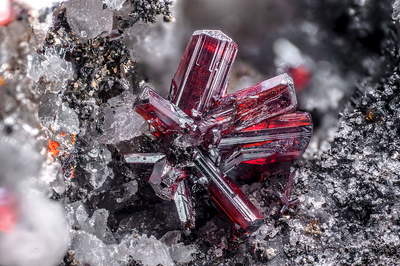 Divergent aggregate of prismatic, red, shiny crystals of proustite, terminated by pyramid faces, dull. Collection and photos by Gianfranco Ciccolini. Nikon D750, bellows, Luminar 25 mm.